Riyadh, Saudi Arabia – September 11, 2018 – Huawei Consumer Business Group (BG) today announced that it has sold 10 million units of HUAWEI P20 Pro and HUAWEI P20 in the first five months, empowering photography enthusiasts globally to take stunning photos with their smartphones. This remarkable milestone is testament to global consumers’ confidence in the Huawei brand, and the innovative technology that Huawei has engineered for its photography-centric line of flagship devices. Huawei’s latest flagship devices sold very well in key markets such as China and Western Europe, where they are performing significantly better than their predecessors. “We are humbled by the reception of our latest flagships among global consumers. By going above the 10-million mark, we have again set ourselves a high bar to clear, but we will treat it as a symbol of encouragement that will fuel us as we continue doing what we do best—putting cutting-edge innovations into the hands of consumers around the world,” said Kevin Ho, President of Handset Business, Huawei Consumer Business Group. 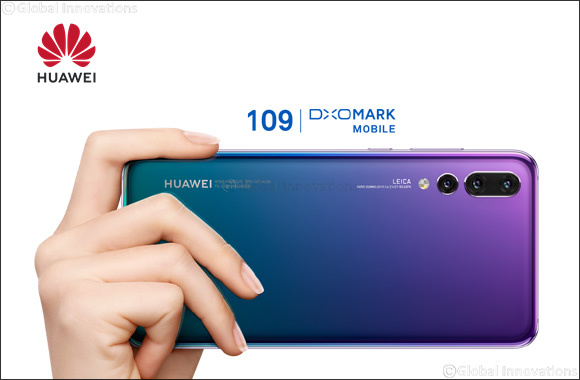 The HUAWEI P20 Pro and HUAWEI P20 were the first two devices to receive a triple-digit score by DxOMark, the industry standard for camera and lens image quality measurements and ratings. Even today, the HUAWEI P20 Pro remains at the top of DxOMark Mobile leaderboard with a score of 109, leading the second-place competitor device by six points. Featuring cameras co-engineered by Leica, Master AI, and the high performance handheld night shot capability enabled by HUAWEI AI Image Stabilization and large camera sensors, the HUAWEI P20 Series makes professional-grade photography accessible to anyone, even novices who have little experience with camera operations. Furthermore, since the Twilight and Pink Gold HUAWEI P20 Series variants were launched, Huawei has ignited a trend in smartphone design and inspired many other manufacturers to launch their products in multi-hued versions. Recently, the European Image and Sound Association announced that it has named HUAWEI P20 Pro the “EISA Best Smartphone 2018-2019,” citing that the device is “the most advanced, innovative and technically superior smartphone ever.” This serves as further evidence that the HUAWEI P20 Pro and the similarly-specced HUAWEI P20 are two of the best smartphones available in today’s market. At IFA 2018, Huawei unveiled the Morpho Aurora and Pearl White variants of the HUAWEI P20 Series. With these nature-inspired hues, Huawei expands its highly popular gradient color offerings.